Dr. Larry Weinstein, MD FACS, a New Jersey plastic surgeon, has a cosmetic surgical practice devoted to helping people improve body image by enhancing their new look in a natural way. His diverse training in Plastic Surgery, Hand Surgery, and Maxillofacial and Surgical Oncology at the State University of New York, Cornell University, and Columbia University Hospitals has helped people achieve Functional as well as Aesthetic Reconstruction. As a premier plastic surgeon in New Jersey, Dr. Weinstein’s primary practice objective is to achieve the best possible results in the safest conditions. In our own Accredited Ambulatory Chester Surgery Center he performs his own minimal incision Z lift Face Lifts, Jowl Lifts, Neck Lifts, Brow Lifts, Eye Tucks, Blepharoplasty, Otoplasty, Liposuction and other procedures under local or conscious sedation. He regularly performs more extensive procedures under general anesthesia such as: Mommy Makeovers, Abdominoplasty, Tummy Tucks, Liposuction, Rhinoplasty, Breast Augmentation, Breast Lift, Breast Reduction, Breast Reconstruction, correction of Breast Asymmetry, among others, predominantly as outpatient procedures at Morristown Medical Center. Dr. Weinstein has privileges to perform Plastic, Aesthetic, and Reconstructive procedures at Morristown Medical Center, Morristown, New Jersey; Overlook Medical Center, Summit, New Jersey; St. Barnabas Medical Center in Livingston, New Jersey; and Hackettstown Regional Medical Center in Hackettstown, New Jersey. Dr. Weinsein’s practice is based on mutual respect, understanding, and confidence in the patient-physician relationship. 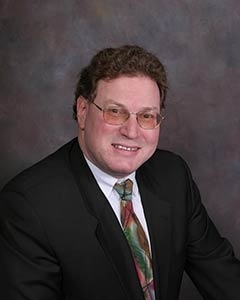 Dr. Weinstein has treated over 20,000 patients since 1988 in his Chester, New Jersey office. His patients never feel as though they are just a number. Whether discussing Cosmetic, Plastic or Reconstructive Surgery, Dr. Weinstein strives to make each and every person who enters his office feel special. He takes time to answer all of his patients questions, alleviate their fears and discuss their individual needs. His gentle spirit and warm personality puts each patient at ease, while his meticulous surgical skills and extensive experience bring natural looking results to enhance face, breast and body. Dr. Weinstein is not only dedicated to his patients here in the U.S., but he donates his skills yearly abroad to the India Project, where his expertise in childhood deformity has helped countless children live normal lives. Dr. Weinstein has been selected for many years by peer surveys in New York and New Jersey by Castle Connolly Medical as one of the best doctors in the New York/New Jersey Metropolitan area for Cosmetic, Reconstructive and Plastic Surgery. Since 2001, Dr. Weinstein has been listed as a Top Surgeon by the Consumers Research Counsel of America. His expertise and opinion have been sought in the Star Ledger, the Daily Record, New York Times, Jewish News, as well as radio and television. "Dr. Weinstein is outstanding in all aspects of his work!" "My experience with Dr. Weinstein has been exceptional!" "He did a great job-best decision of my life seriously!" "I can’t say enough amazing things about Dr. Weinstein!" "Great doctor and great result!" "Dr. Weinstein exceeded our expectations!" “The staff is so nice and welcoming. An awesome experience from the moment we walked in.